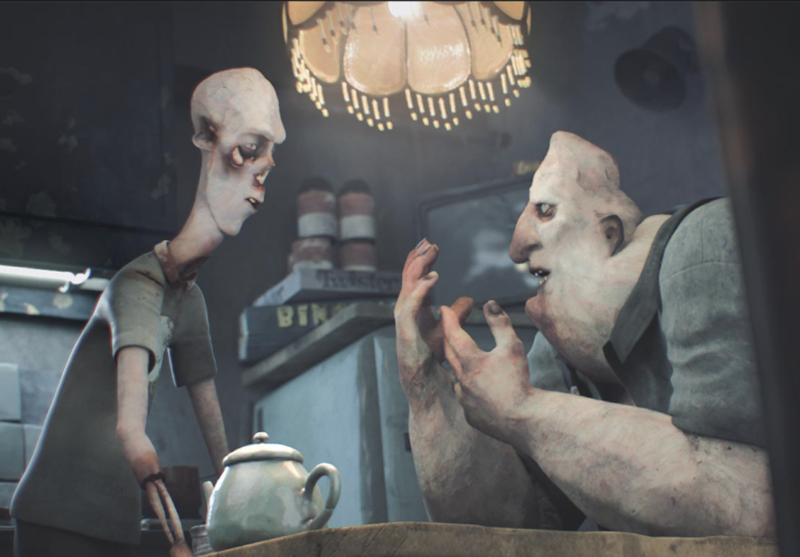 Less than Human is a 3D animated film about the aftermath of a zombie outbreak, humans living in a world where zombies are segregated into camps. There have been rumors about rehabilitating post-zombies back into society. Steve, the journalist decided to instigate and prove to the world that rehabilitation is out the question. Less than Human dabbles in the controversial subjects of truthful news. After watching the film you may begin to realize that these zombies are just normal people with feelings and they just want their lives to return to normal, but since they look a certain stereotype surrounding them they can longer to do so.The Camerman witnesses the compassion this two zombies Andy(Dave Dyson) and Don(Lawrence Marvit) share for one another, yet at the end of the film, the entire interview is tampered with. Steve the reporter states “Reintegration is not an option”. Even though these zombies showed they are no different than humans…fake news strikes again. For this reason, I greatly appreciate Less Than One it exposes manipulation that occurs during a broadcast news in a creative way. This film opens up a discussion on unreliable biased news and how it can affect our society. Watch the film here.